That New Year inspiration is still going strong and I can't stop cleaning, repurposing and planning. A friend of a friend gave me clay pots when she moved and I can't pass up a good donation. Two years later, they're still in my backyard collecting rainwater. So I'm putting them to use with some of that inspirational planning. I have a weakness for succulents and especially love that I can grab a stem from a plant at any location and easily add it to my own collections! That makes them the perfect gift for the next hostess, birthday girl, or new homeowner. 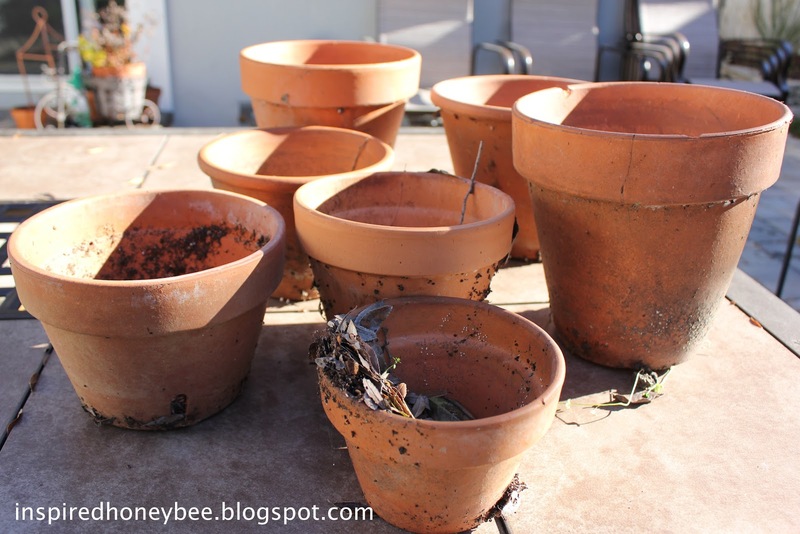 After giving the pots a good cleaning, I grabbed materials around the house and started making these pots one-of-a-kind. 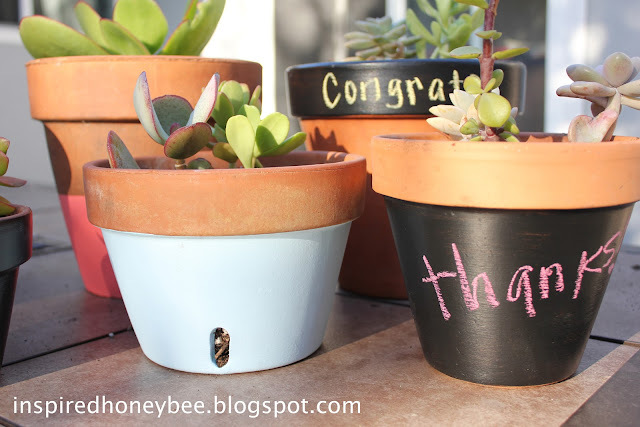 Chalkboard paint is such a good option for gifts because the message can be altered at a moment's notice!! 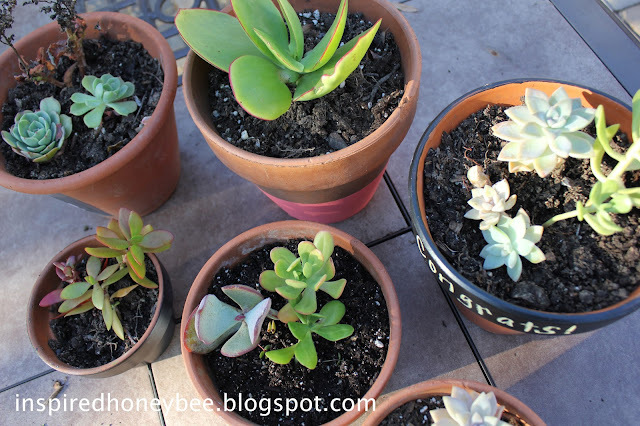 Then I walked around the yard and snipped a few pieces of succulents and planted them in the pots. 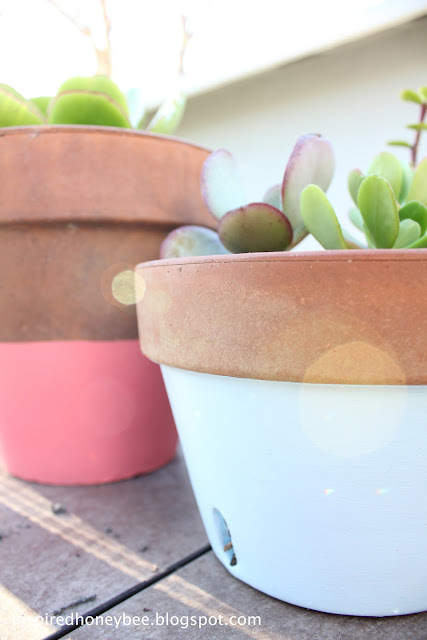 With enough water, sunshine and time, these succulents will fill the pots and I will have housewarming and hostess gifts on hand for months to come! 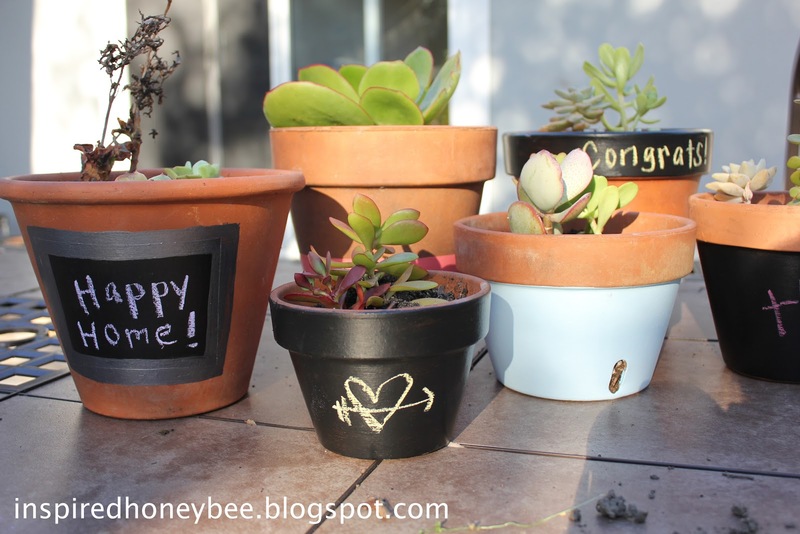 This is a great idea and the pots are so cute! I love plants, but never thought about giving one as a hostess gift. Thank you for sharing this idea and I'm happy to be following you via GFC and looking forward to more. Hope you'll stop by sometime! These are all so cute and unique. I like the chalkboard one and the pastel colors. Beautiful! I love the paint colors! SO CUTE! Cute Debbie. 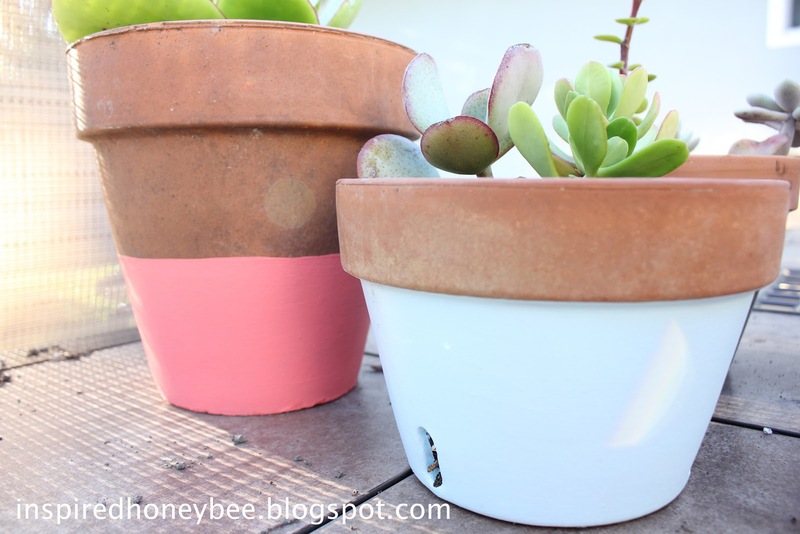 They will be even cuter when the succulents fill it. The pot colors are like a breath of spring! Thanks for sharing with Share Your Cup. Would love to have your share your succulents with What to do Weekends. I love these! What a great idea. We'll be having new neighbors shortly, I think I'll make this as a "welcome to the neighborhood" gift! I'd love to see your gifts!!! what a cute collection! and great gift ideas.